Previously if you bought a residential property and it wasn’t your main home or subject to another statutory exemption, you would be taxed on any profits made if you sold it within two years. However, with the ‘Bright-line Test’ amendment in March this year under the Taxation (Annual Rates for 2017-18,Employment and Investment Income, and Remedial Matters) Act 2018, the two-year period has increased to five years. Your tax liability is based on any profit you make when your property is sold. 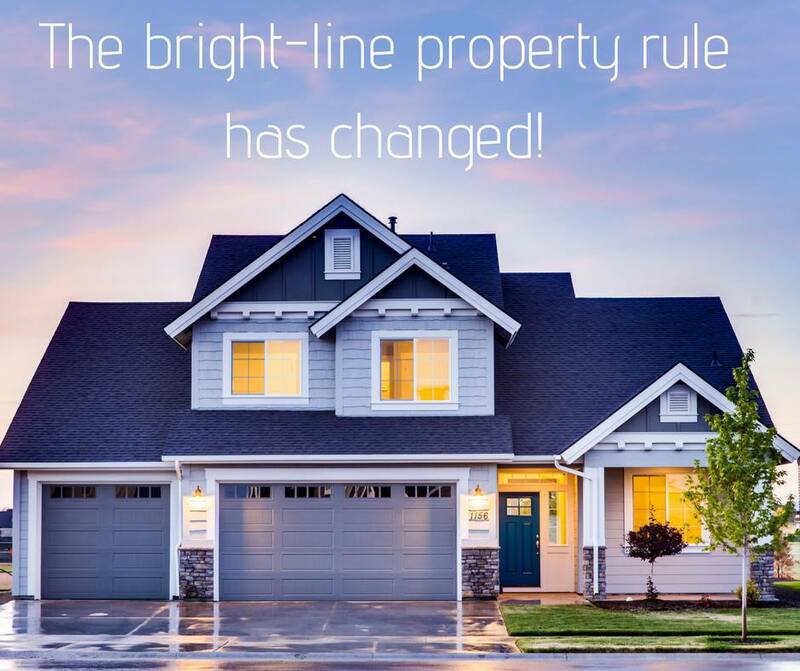 If you bought a house between 1 October2015 and 28 March 2018, the original two-year bright-line rule still applies to you. Although the bright-line test may not apply when selling the property after the five-year period has lapsed, tax may still be payable if the ‘intention test’ is applied. The test asks whether resale was one of your intentions when you bought the property. This was the legal position before the Bright-line rules and it still stands. If you would like to find out more, call us on 07 928 4422.We would be happy to help.